Welcome to the Musical Instruments and Supplies Store at Export Portal. Whether you are an absolute beginner or a seasoned professional who knows how to put music together, exportportal.com is your one stop destination for the musical instruments and accessories you will need to perform your best. Browse through our broad selection of drums, guitars, keyboards, amps, DJ gear, stringed instruments and even more to get set up with the best musical instruments and create the perfect musical mood. Get ready to take the stage with the latest microphones, multitrack recorders, PA systems, speakers, lightning and amps with featured brands like Samson, Yamaha, Ibanez, Tiger, Roland and hundreds more. Looking for some instrument accessories? No problem - we offer sticks, stands, strings: great deals are just a click away. Or how about musical instruments for kids to get them started at a young age? Children love music and whatever your goal is, Export Portal has you covered. Shop musical instruments for kids that include guitars, drums and percussion and more. To help make your choice, check out product and seller reviews of musical instruments and supplies. Whatever your musical needs, this is your top source for the gear you need to perform your best. 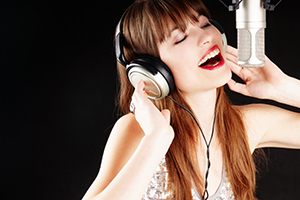 Start making music today with the help of Export Portal.